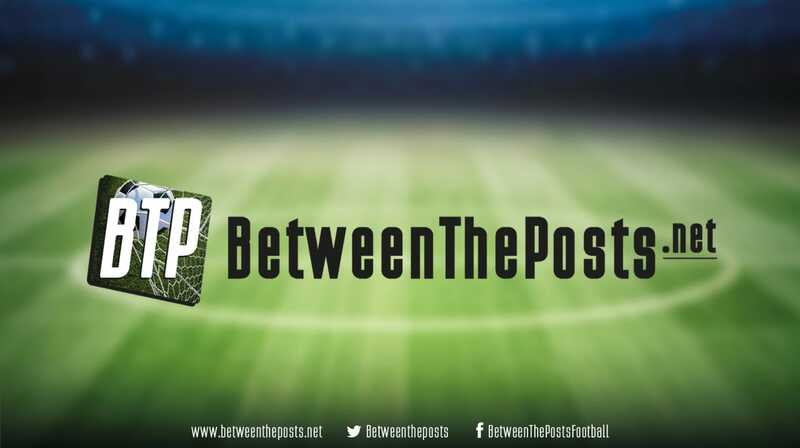 Welcome to the weekend primer of Between the Posts! In this article, we preview the matches that will be covered during this weekend, including a little preview of these matches. We have a top-six clash in the Premier League, PSG and Lyon squaring off in France, both Borussia Dortmund and Bayern Munich are covered, and we have a nice Serie A clash on Sunday evening. 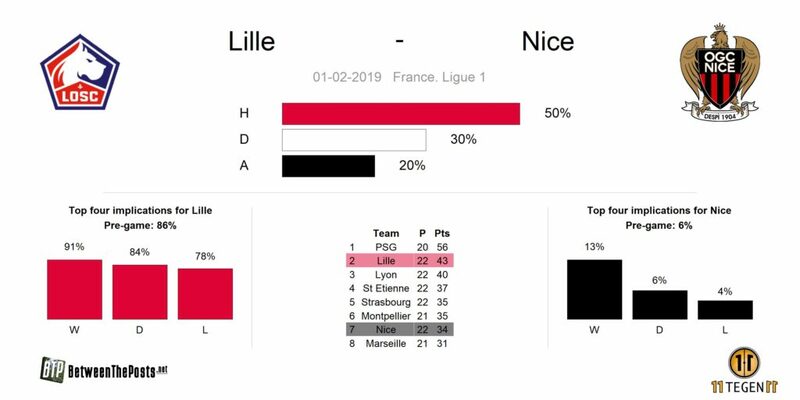 Under the guidance of Patrick Vieira, Nice are experiencing a somewhat quiet Ligue 1 season. They are seventh in the league table, while their underlying statistics do not show signs of them leaving that place anywhere soon. The trend of playing with three central defenders -which peaked in the last two seasons – is now a bit less in vogue. Vieira is still a firm believer in the 3-4-2-1 shape, which he fields regularly, standout players being young Allan Saint-Maximin, veteran Dante at center-back. Everyone who frequently reads our articles knows what Lille are all about. Apart from Lyon and PSG, they are the most covered Ligue 1 team so far this season. How they go about their business is the same, week in, week out. Deploying the modern 4-2-3-1 shape, they focus on passing the ball to their incredibly talented attackers in behind the defense or between the opponent’s midfield and defense. Vieira’s approach varies, as he has shown willingness to press the opposition, as well as sitting back a bit deeper. If he chooses to take the game to Lille, we might see a spectacular game, as Lille’s attackers love playing with space behind the opposing defense. Tactical analysis by Chris Baker. With a much-needed win against Wolfsburg last week, manager Peter Bosz has won himself some time to implement his vision – purposeful possession and pressing – at Bayer Leverkusen. And what a game to test if his young boys are making strides in his favored way of playing: Bayern Munich is coming to town! 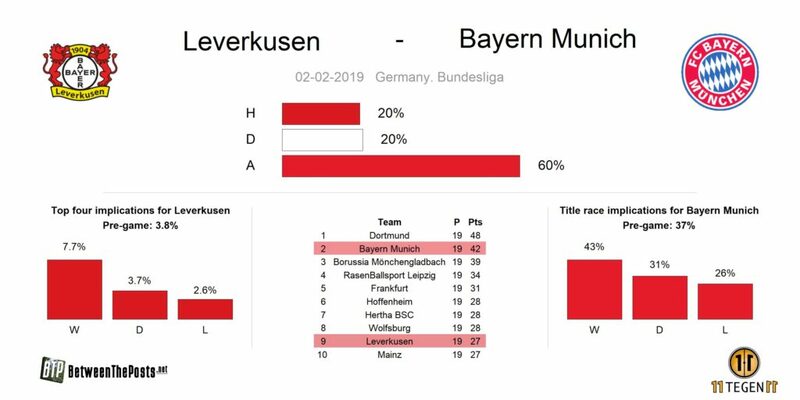 Whether Leverkusen pulls it off to play on Bayern’s half for most of the game and press successfully or not: this is going to be fun anyway. So make sure you watch it. Tactical analysis by Erik Elias. All eyes on the Bundesliga this Saturday afternoon, as title contenders Bayern Munich and Borussia Dortmund both have tricky away matches. Dortmund play Eintracht Frankfurt, who are enjoying a very bright season, with their offensive talents shining big. Sébastien Haller (11 goals – 8 assists), Luka Jovic (11G – 3A) and Ante Rebic (7G – 3A) will all definitely be targeted by Europe’s elite teams come next summer. For now, let’s enjoy their talents on display in Frankfurt’s second half of the season. A splendid start to the season by Dortmund coincided with a dip in results at Bayern Munich. Dortmund are flying under Lucien Favre, with the mid December loss at Fortuna Düsseldorf the single exception in an impressive series of Bundesliga wins. They go into this weekend with a six point lead over Bayern, and a win in Frankfurt can increase their title odds to an impressive 70%. A crucial element in Dortmund’s success has been the tendency by Favre-teams to score more goals than suggested by expected goal numbers. Their fifty (!) goals so far have been backed by 33 expected goals. This massive overperformance likely won’t hold, but we’ve learned to be a bit careful applying expected goals to Favre-teams. 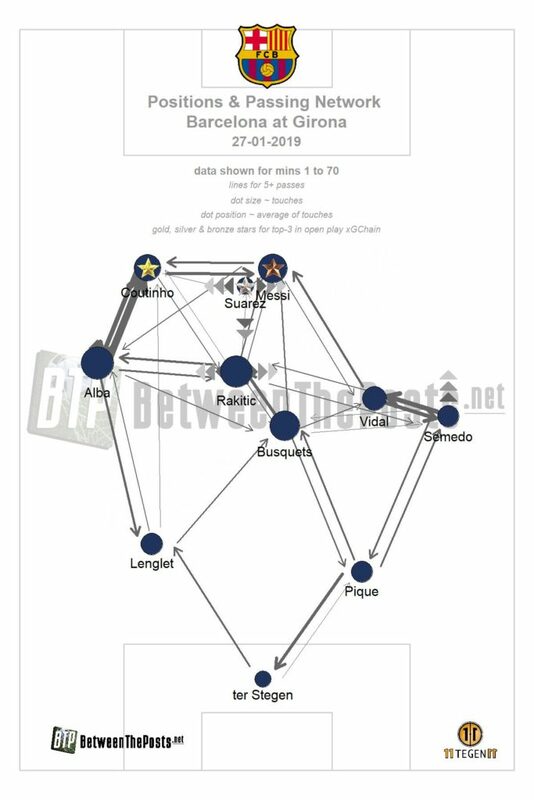 Tactical analysis by Peter M.
Valencia are a tricky opponent for Barcelona, because they are a lot better than the league table suggests. Their expected goals The amount of goals a team is expected to score based on the quality of the shots they take. conceded is second best in the league, only bested by Atlético Madrid. Their expected goals from from open play is even the best of the league. Their set-piece work is fairly mediocre compared to the rest of LaLiga, but Atlético Madrid aside, this is one of the league’s elite defenses. They do so by playing in a strictly zonal 4-4-2 shape, allowing little to no space between the lines, and effectively pressuring the ball-carrier when the ball is on the flank. Barcelona have also played a midweeks Copa del Rey match – on Wednesday, hammering Sevilla 6-1 – while Valencia had one day more to recover, rest their legs and sharpen their knives. A little surprise might be on the cards, guys! Tactical analysis by Martyn Davis. Matches are coming thick and fast for Manchester City, who are in the midst of a two-matches-a-week schedule right now. Even without serious rotation, they suffered a surprising defeat at Newcastle United, which meant the gap to Liverpool grew to five points. Little room to left maneuver for the defending champions. 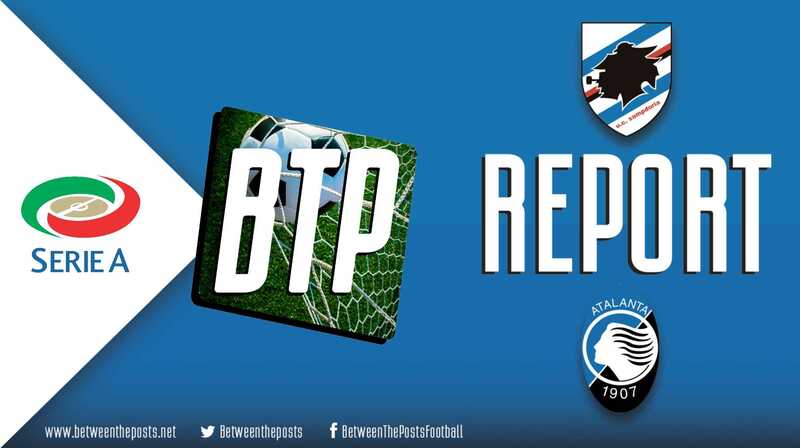 Shot creation has been quite of an issue for them over the past few months, and their offensive display against Newcastle left a lot to be desired. It will be interesting to see how much risk Guardiola is prepared to take, given the renowned counterattacking potential of their opponents. Arsenal are a team in transition in Unai Emery’s first season at the club. Nevertheless, they have been doing mostly fine in terms of performances and results. Since the early August losses to City and Chelsea, Arsenal have collected just three points fewer than their opponents of the weekend, Manchester City. No mean feat for a team in transition. A win at the Etihad stadium could make them favorites for the final top four spot. Tactical analysis by Om Arvind. Of all top five leagues, Serie A is likely to have the most open top four race. No less than five teams are separated by just three points and those will be fighting for that single fourth spot. Unless Inter keep stuttering like they have recently, which could still see them drop out of the top four. Two of the main candidates in this top four race meet up on Sunday, as AS Roma, fresh off a 7-1 Coppa Italia trashing at Fiorentina, host AC Milan, who impressed with a 2-0 win over Napoli. In Lucas Paquetá and Krzysztof Piątek their seventy million winter acquisitions are full on in the mix, the latter even scoring a brace on his debut this week. Milan have the slight edge in terms of underlying numbers, mostly due to a much better defense. 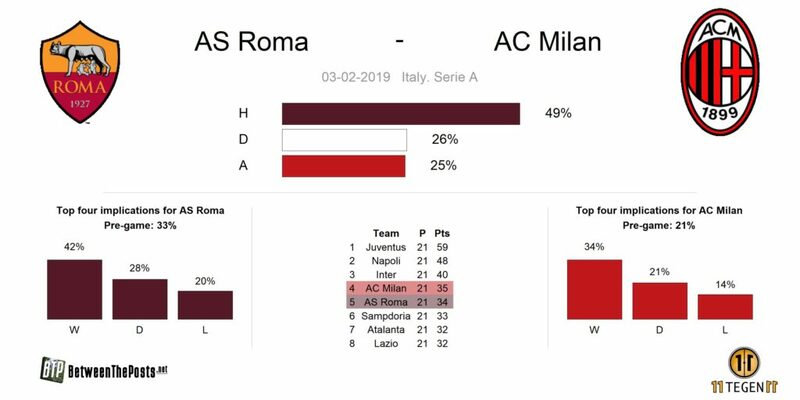 Roma’s 29 goals conceded are way off the pace of a top four team, while Milan’s defensive numbers rank them solidly fourth in the Serie A. Interestingly, Milan’s matches have seen an average of 2.3 goals per match – slightly below league average – while Roma’s matches have been true goal fests at 3.3 goals per game. Add in home advantage and Milan are solid favorites to make big step towards top four qualification. Tactical analysis by Rowdy Nossent. When this fixture was played in Paris, last October, it ended in pure chaos, as both teams were down a man for the entire second half. With players like Mbappé, Depay, Aouar and Neymar on the pitch, you can imagine that was a rather fun game to look at. Speaking of Neymar, he’s injured again. 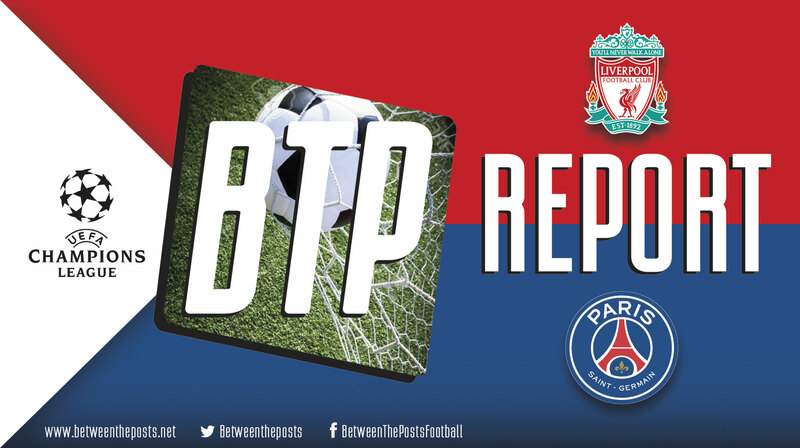 Just like last season, when the business end of PSG’s season well and truly commences – the Champions League knockout stages – they have to miss their best player. This match therefore might provide an insightful nugget or two. How will Tuchel try to steer his team past Manchester United and, possibly, the next opponent in Europe? As you’ll see below, this match does not have big impact on the title race. But don’t forget Lyon won away at Manchester City and have qualified for the next round of the Champions League as well. On their day, they can beat any team. 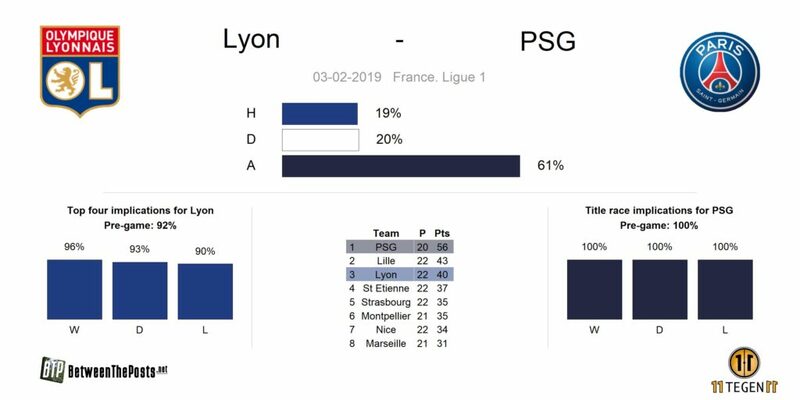 This is about as tough as it gets for PSG in Ligue 1, so how Tuchel goes about his business away at Lyon might be an indicator of his plans for February, March and April. For a club that has spent over €100.000.000 last summer, West Ham are doing a poor job with their twelfth place in the league. They have not really been the Premier League’s most astute club when it comes to buying and selling. Signing Samir Nasri on a free – even though he impressed in his first two matches – pretty much fits that pattern, as he is already injured and unavailable for the clash against Liverpool. 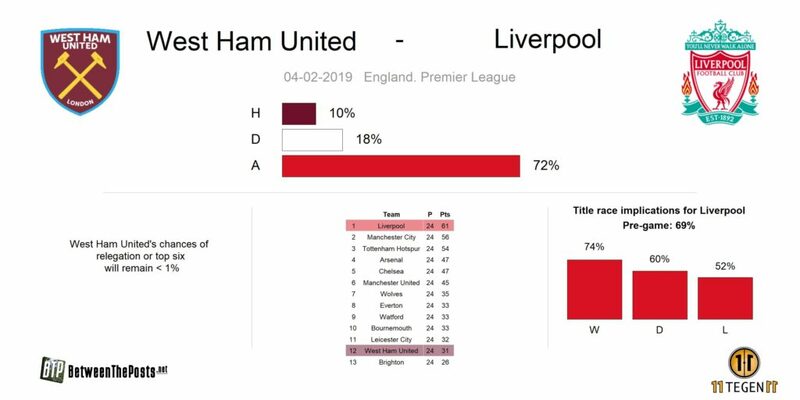 That West Ham are perfectly capable of producing the occasional shocker was made clear when Arsenal got beaten 1-0, a result that was very much deserved. In Marko Arnautović, West Ham have one of the best players outside of the Premier League’s top-six, young Declan Rice has been very stable in midfield, and Nasri has been doing a fine job as number ten, in the limited minutes he has gotten. Liverpool are truly capable of pulling it off this year, aren’t they? Five points at hand versus Manchester City seems like a doable task, as City have been dropping points left and right since December. In games like these – against teams from the bottom half of the table – Jürgen Klopp has usually fielded his dynamic 4-2-3-1 formation, with star signing Naby Keïta recently being deployed as a holding midfielder, which makes Liverpool even more fun and free-flowing. Tactical analysis by Josh Manley.